This tutorial explains How to Install VNC Server on Ubuntu 18.04. VNC (Virtual Network Computing) is a remote desktop sharing tool that allows you to remotely access the graphical desktop of your Ubuntu system. To set up VNC on your Ubuntu computer, we need to install Xfce desktop and a VNC server software. There are a couple of VNC server software available for Ubuntu 18.04, we are going to use the TightVNC server server package. When tightvncserver command executes for the very first time, you will be prompted to set up a password (we can change the password at a later time with tightvncpasswd command). The command will also create a few configuration files required for the Ubuntu VNC server. We have started a new VNC session with desktop ID 1 and 1366x768 screen resolution. 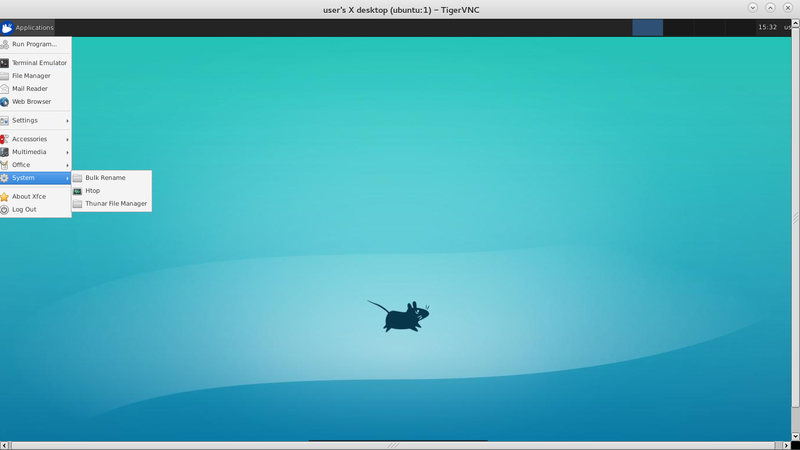 To access the server remotely, a VNC viewer software should be installed on the remote computer. Then, use your server IP address and a VNC desktop number to be connected. To manually stop the VNC Server on your Ubuntu 18.04 server, run the command tightvncserver -kill and provide the same ID you used when starting the VNC Server. Perform the following steps to ensure that the Ubuntu VNC Server will automatically start when your Ubuntu 18.04 server rebooted. Create a new systemd unit file called vncserver@1.service under the /etc/systemd/system directory.